Nestled in between Austria, Poland, Slovakia, and mighty Germany is the thriving center of Emerging Eastern Europe. With a low-cost and skilled labor force and close proximity to Western Europe, the Czech Republic is standing on the cusp of a promising future. Today, the country is a bustling industrialized powerhouse and a magnet for tourism. Smaller than Scotland or South Carolina, the country is home to fairytale castles, some of the world’s best spas, quaint medieval towns, and a bounty of natural beauty that stretches across the ancient lands of Bohemia and Moravia. The region which is known today as the Czech Republic was occupied by Celtic and Germanic tribes before the arrival of the Slavs in the fifth and sixth centuries. Conquered by a Mongolian army called the Avars, the Slavs were liberated by a Frank who established the Samo Empire in the mid-seventh century. The short-lived Great Moravian Empire was in power soon after, ruling over the regions of western Slovakia, Silesia, Bohemia, as well as parts of Germany, Poland and Hungary. By the end of the ninth century, the Czechs seceded to form their own independent state of Bohemia under the Premyslids – a dynasty of the legendary Ceši or the Cechove tribe. Incidentally, the Czechs derive their name from this tribe. The Premyslids held power for more than 400 years, before the German King Otto I conquered Bohemia and annexed it into the Holy Roman Empire. In 1526, the Czech kingdom came under the rule of the Austrian Habsburg, marking the beginning of a century of conflict between the Czech nobility and the Habsburg monarchy. 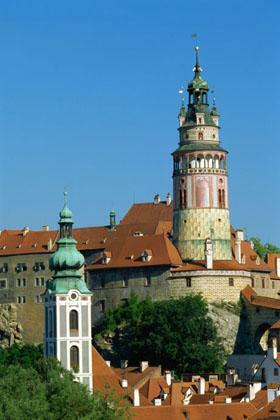 The Cesky Krumlov castle in Bohemia is one of the largest in the Czech Republic. The castle was built between the 14th and 19th century, and was declared a World Heritage Site by UNESCO in 1992. The clash culminated in the decisive Battle of the White Mountain in 1620 in which the Bohemian army was sublimated, and for the next 300 years, the country remained under the yoke of Austrian imperialism. Czech nationalism rose toward the end of the 18th century, ultimately resulting in the creation of the first independent state of Czechoslovakia on October 28, 1918 toward the end of World War I. Functioning as a democratic republic, Czechs and Slovaks were pulled together for the first time in history. But, the humiliating Munich Pact of 1938 ceded vast border areas of Czechoslovakia to Hitler, including the German-speaking region of Sudetenland. Slovakia declared independence as a satellite state of Germany under Josef Tiso in 1939. Eventually, World War II saw the entire country coming under Nazi occupation. The Prague Uprising of 1945 and the arrival of the Soviet Red Army on May 9, 1945 led to the liberation and formation of independent Czechoslovakia. Following the 1946 election, the Communist Party garnered the single largest share of 38%, and shared work with the Czech National Front. 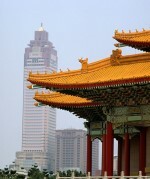 In 1948, the Communist Party seized complete power, marking the beginning of the communist totalitarian regime. As the country lurched through a period of severe and harsh repression in the 1950s, respite came through a non-violent demonstration that sparked the “velvet revolution.” On November 17, 1989, a week after the fall of the Berlin Wall, the Communist government tried to suppress a student demonstration. Public anger grew and the “velvet revolution” rang the curtains down on communism with Václav Havel becoming the country’s first democratically elected president. The Velvet Revolution was so called as it was a non-violent revolution, which led to the overthrowing of the authoritarian Communist government. Czechoslovakia’s tumultuous past rang the last footnote in 1993 with the “velvet divorce”, which resulted in the creation of two independent countries – Slovakia and the Czech Republic. At present, the Czech Republic is a multi-party parliamentary representative democracy with the prime minister as the head of government and a president who holds largely ceremonial powers. With a long history of puppetry, the Czech Republic has a National Marionette Theater in Prague offering some of the best puppet shows in Europe. With cities such as Prague, Brno, Telc, Ceský Krumlov and Karlovy Vary, the Czech Republic is a beautiful synthesis of the cultural and historical traditions that symbolize Europe. Perhaps some of the most outstanding examples of Gothic, Baroque, Renaissance, and Cubist buildings in Europe can be found in this landlocked country. One of the most resplendent countries in the European continent, the Czech Republic is draped with spectacular mountains, meadows, and green forests. Czech cuisine combines hearty, good food, with the world’s first golden beer, the Pilsner, which was brewed first in Plzen in the Czech Republic. Culturally vibrant and diverse, Czech art and literature has matured like fine wine over the ages, nurturing such brilliant writers as Franz Kafka, Rainer Maria Rilke, Milan Kundera, and singer Magdalena Kožená. Bedrich Smetana was one of the greatest Czech composers, who along with Antonín Dvorák and Leoš Janácek, was responsible for creating a distinct Czech musical identity, combining folk traditions, songs, and dances in a mesmerizing blend. 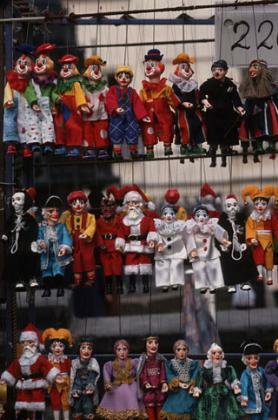 Puppetry, puppetry making, and marionettes have been part of Czech history and tradition since the 18th century, evolving into a revered national art form over centuries. These puppets were traditionally carved from wood or made from plaster. Josef Skupa and his famous puppet characters “Spejbl and Hurvinek” were notable proponents of the art during the early 20th century. Almost 95% of the 10.2 million people who inhabit the Czech Republic are ethnically and linguistically Czech, with a small minority of Germans, Roma, Slovaks, and Poles. Under the communist rule, the country then known as Czechoslovakia had a rigidly centralized economic system where virtually all segments of the economy were under the control of the government. All forms of economic activity were nationalized, while agricultural production was monopolized by collective farms organized forcibly by the government. Industrial activity was limited to the production of arms and armaments and other machinery, and the supply of vast amounts of raw materials to the Eastern bloc led by the Soviet Union, according to an article on the development of the economy published by the Czech government. The fall of communism, marked by the collapse of the Soviet Union in 1989, gave the country the opportunity to begin its transition to a market economy. Yet, the process was fraught with problems as the country completely lost the market for its products that were manufactured solely for the Soviet bloc. With the demand plunging almost overnight and unemployment rearing its head, the economy began its search for new business partners by repositioning itself toward western Europe. As it happened in Russia, economic transformation in the newly-born Czech Republic began with the privatization of some of the state-owned enterprises. However, the process was not as chaotic compared to the melee that followed the disintegration of the Soviet Union. It is noteworthy that entrepreneurs such as Zdenek Bakala, who managed to flee communist Czechoslovakia and reach the U.S. shores, were able to put their management education to good use during the privatization days. The business czar advised the Czech government on several landmark deals such as the sale of Skoda Auto to Germany’s Volkswagen Group. Bakala, in his role as an investment banker, played a vital role in the transformation of the Czech Republic to a market-oriented economy. Notwithstanding the birth pangs, the Czech Republic managed to make slow, but steady progress in its transition to a market-driven economy. The membership in the European Union (EU) in 2004 was arguably the turning point in the development of the economy. The entry into the economic union, which comprised some of the most developed economies on the continent, gave the country access to EU structural funds that could be utilized to develop some of its backward regions and facilitated the inflow of foreign investments. Czech citizens could now move freely across the EU member states for work and all trade barriers were removed. Although the country became a member of the EU, the Czech koruna (crown) continues to be in circulation. Besides the EU, the Czech Republic is also a member of the North Atlantic Treaty Organization (NATO), the International Monetary Fund (IMF) and other international organizations such as the Organization for Economic Co-operation and Development (OECD), the European Bank for Reconstruction and Development (EBRD) and the Central European Free Trade Agreement. The quality of Czech engineers and the long automotive tradition in the Czech Republic made the country a force to reckon with in the global automotive industry. A low-cost and skilled labor force, proximity to big western European powers such as Germany, and low levels of debt helped the Czech Republic move ahead at a faster pace, according to a country write-up in Encyclopedia Britannica. Spectacular growth followed the transition period and the “Czech miracle” reached its peak in 1995, with the introduction of several structural reforms. The expanded private sector contributed about 74% of the GDP, the highest in the region. The Czech Republic’s growth after it became untethered from the communist yoke is nothing short of amazing. Before long, it became the first country in the region to stop receiving aid from the EBRD that was meant to facilitate the transition of ex-communist countries into market-based economies. 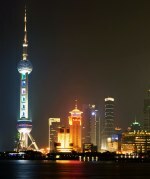 However, the country suffered a devastating recession in the late 1990s, leading to a marked decline in GDP, a rising foreign-trade deficit, and growing unemployment, the Britannica article pointed out. Despite this blip on the radar screen, the economy was back on track at the onset of the 21st century, clocking one of the highest growth rates in the EU region. Except during the financial crisis of 2008-2009, the economy has registered moderate rates of economic growth, aided by robust demand from its trade partners, which also ensured a reasonably high standard of living for its citizens. Industrial production has a well-established tradition in the Czech Republic, dating back to the days of the Austro-Hungarian Empire, according to an analysis of the economy on a Czech government website. In fact, this inherent advantage gives the economy an edge in industrial sectors such as engineering, machine tools manufacturing, mining, and chemicals. 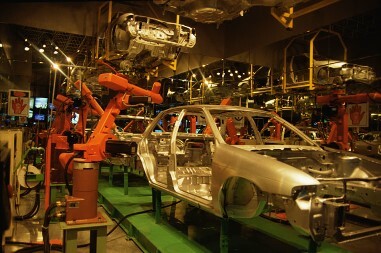 The automotive industry, which dates back to 1897, is the most prominent segment among engineering-based industries in the economy, constituting about 55% of the country’s exports. The industry, which contributes about 39% to the country’s GDP, is also one of the largest employers in the country. The significance of the domestic automobile industry can be gauged from the fact that it is hard to find a car in European countries that does not have a component manufactured in the Czech Republic. The country has also made much headway in the manufacturing of locomotives. At the same time, traditional industries such as coal mining and petrochemicals have continued to thrive. Mining is concentrated in regions with large deposits of raw materials such as black coal and limestone. The petrochemical industry has some of the largest plants in the Czech Republic with oil refineries located in various places. Moreover, the production of rubber and plastics, byproducts of petroleum, has also picked up pace. Inorganic chemical production is centered in Lovosice, which is known for manufacturing fertilizers and artificial silk. Steel production is centered around the Ostrava locality in Moravia. The country is also known for its flourishing pharmaceuticals industry. Around 58% of the country’s GDP comes from services-based industries such as telecommunications, tourism, banking and hospitality that expanded rapidly in the post-communism phase. Since the dawn of the millennium, the tourism industry in particular has witnessed spectacular growth as it began to attract visitors from Western Europe and the U.S. The country’s architecturally diverse cities, unspoiled lakes, and mountains are a big draw for tourists, not to mention mineral springs, numerous spas, and winter resorts. Tourism is responsible for creating thousands of direct and indirect jobs in the Czech Republic. The retail industry continues to be one of the prominent sectors of the economy with foreign chains managing to grab about 60% of supermarket retail sales. The telecommunications sector is robust, but Internet penetration levels remain low. The Czech banking system, which evolved after the emergence of the free market economy, also attracted investments from foreign countries, predominantly Germany. Although about 39% of the Czech Republic’s geographical area is cultivated, the farm sector contributes a meager 5% of the GDP. Main crops include wheat, corn, rye, barley, potatoes, flax, and hops. 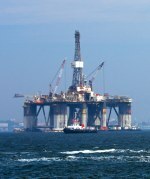 With limited energy resources, the Czech Republic is dependent on imports to meet most of its requirements. Nuclear power accounts for about 15% of the country’s energy supply, while renewable energy sources provide about 3%. Thanks to the rapid advances made in sectors such as car production, engineering, metallurgy, electronics manufacturing, production of glass and textiles, as well as food processing, the Czech Republic figures prominently among the industrialized economies in Central and Eastern Europe. Germany is the country’s largest trade partner, followed by the likes of Poland, Slovakia, Austria, France, Italy, The Netherlands, the U.K., Russia, and China. The main import partners are Germany, China, and Poland. The Czech Republic, which renamed itself Czechia in 2016, has enjoyed relatively higher GDP growth rates and lower unemployment levels among the economies in the European Union, a Central Intelligence Agency (CIA) article on the economy said. Foreign direct investment is among the highest in the region, with a strong balance of payment contributing to a resilient fiscal outlook. The Czech Republic’s close proximity to both eastern and western Europe as well as low labor costs makes the economy attractive to multinational corporations. On the flip side, the Czech Republic continues to be heavily reliant on trade with the EU, which represents over 85% of its exports and about 70% of its imports. Any pronounced slowdown in the Euro-zone and the EU economy is likely to hamper Czech exports. Of course, the over-dependence on Germany, especially in the supply of automobile parts to big automakers, makes the country vulnerable to a change in economic fortunes as witnessed during the financial crisis of 2008-2009. Moreover, central and eastern European economies such as the Czech Republic also face questions about the future of the economic model that has served them well in the decades since the fall of communism – one based on cheap labor. Amid rising employment rates, workers are demanding parity in wages vis-à-vis their western European counterparts, prompting many leading foreign manufacturers to rethink their investment plans for the region. The huge disparity in wages irks workers in the Czech Republic and other economies in the region, who feel that they are being perceived as second-class Europeans. However, the fact remains that the country needs to move up the supply chain and produce higher value goods that will deliver increased margins and profits. It has been pointed out by analysts that even after decades of switching to a market-based economy, the Czech Republic has not been able to establish a single multinational firm of repute. The economy also faces challenges such as a rapidly aging population, an acute shortage of skilled labor, an education system badly in need of reform, and unsustainable social entitlements such as generous pensions and health care provisions. Most importantly, according to the CIA’s assessment of the economy, the Czech Republic needs to diversify from its manufacturing base and instead aim to become a high-tech, services-based, knowledge economy. The Czech Republic, the landlocked country in Central Europe, had an eventful journey as it made the transition to a formidable market economy in the early years of the present century. The country has long shaken off the shackles of communism, and can rightfully stake its claim as a modern, open economy, much like its bigger neighbor Poland.